The ICAA is proud to announce the launch of the 2019 Peter Pennoyer Cast Hall Fellowship. Named in honor of Peter Pennoyer, former Chairman of the Board from 2009-2013, the Fellowship allows the ICAA to continue the cast collection’s unique educational legacy. The incoming Fellow will have the rare opportunity to pursue research, teaching, and management as applied to a rare and irreplaceable collection. Appreciation for plaster casts, and a desire to unearth their histories, continues to grow within academic circles and spark curiosity amongst art and architecture enthusiasts. 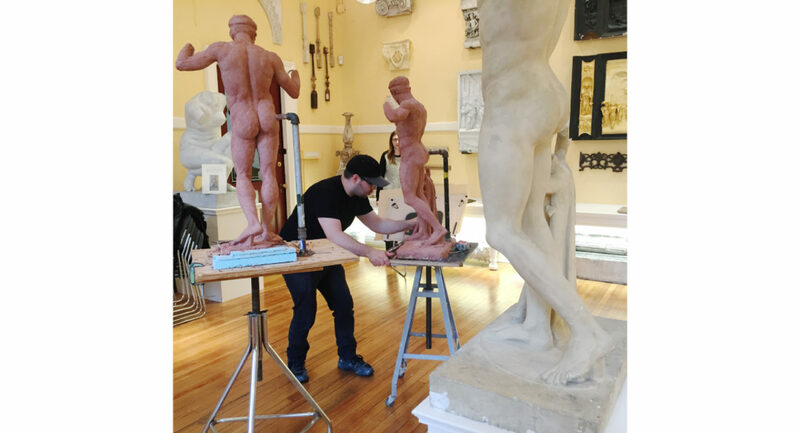 The ICAA is excited to partner with Joe Tuana and contribute to the evolving awareness of the vitality of plaster casts in art and architecture education. Interested in visiting? The Cast Hall is open and free to the public by appointment. We gladly provide free tours and art classes to school groups. Please contact [email protected] to learn more. We hope to see you soon!